I confess that I'm that I'm mentally exhausted. I haven't had a day off since February 21st. I won't get a day off until March 7th. Crazy, I know. Thanks to the snow, I have had to miss work so I had to pick up a Saturday shift to make up for some lost time. I hate not having a day off. It makes me tired and grumpy. I'm loving my new Joie Kidmore sneakers. Since, I'm having feet issues, I have been wearing my sneakers non-stop. I wanted something a little more fun so I picked these up. They are so comfortable. However, they run really small and I had to go up a whole size. I'm really grateful that both jobs let me wear sneakers to work. Feet issues are the worst. I confess that I have read all three books in the Fifty Shades of Gray series. I cannot even believe I have just admitted that. Honestly, the books are so poorly written that I feel stupid for even wasting my time. Also, I really didn't even care for the story or the characters, especially Ana. But at the same time, I needed to know how the story was gonna end. I confess that I'm totally obsessed with the game, Trivia Crack. I cannot stop playing it. It is so bad. Sometimes, I think I should delete the app from my phone. It is that addicting. Heck, I didn't even think I would like this game because I'm not really into trivia. But, oh this, game has changed that. It's beyond addicting. JenniSixx and I are constantly playing each other. She too is addicted, thanks to me. I'm loving the Tiramisu Latte at Starbucks. It's deliciousness in a cup. A grande with non-fat milk and no whipped cream is 200 calories. So it makes for a great sweet treat that isn't too fattening. 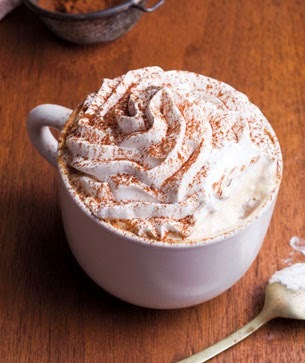 If you love Tiramisu, you will enjoy this latte. Um, it's definitely called Trivia 'crack' for a reason; I am hooked too! I want those cute sneakers! I hope the days go fast and you enjoy your day off! 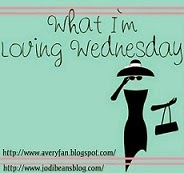 Happy Humpday! I actually quit Trivia Crack recently because I was about to win a very close game and I lost due to an incorrect answer that was ACTUALLY CORRECT. It made me so angry that I am never playing again, lol. I've been told that Trivia Crack is addictive so I'm purposely NOT downloading it. Lol. I always order a peppermint mocha at starbucks.. or I'll order a peppermint mocha frap. I'm really clever. Even during the summer. I don't even care. It's my jam. Love your cute sneakers!! And the Tirmaisu latte sounds delish!! I was into trivia crack for about a week and then got bored. The questions are so random! I had to delete the game 2048 b/c I was playing way too much!!!!! I agree the Fifty Shades books weren't great. Totally read better. I think i need to schedule a mental health weekend soon! 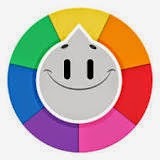 I also love Trivia Crack! I read all three Grey books too. No shame. Don't ever be ashamed of anything you read! That's how censorship happens. Man I must be living under a rock. I didn't even know Starbucks had a tiramisu latte! I'll definitely have to check it out. Also, I completely agree with the 50 Shades book, but I needed to know the ending. Have you seen the movie? Oh I have boat shoes just like this from Aerosoles. I love them. I've heard so much about that app... Now I might have to download it! They were so poorly written right??? I couldn't finish the 3rd one....just couldn't get through it. On another note those Joie sneakers look fabulous!! Are they comfy even though they run small? Trvia Crack is seriously too addicting. I had to turn off the notifications because I couldn't stop watching for my turn.That Tiramisu Latte looks amazing! I'm bummed there's no Starbucks where I live so I can try it out.